Virginia sweetspire is a deciduous shrub with arching stems and alternate simple leaves that are oval in shape and dark green in color. The shrub has a rounded habit and produces cylindrical drooping flowers (racemes) from late spring to mid-summer. Native to the woodlands of eastern North America, it is a good choice for woodland borders. In the right conditions, it can spread and fill in quickly via suckering roots, making it good for erosion control. It has a long period of good autumn color when the leaves turn shades of red, orange, and gold. This small shrub is easy to grow in any average, well-drained soil that has medium to wet moisture levels. It grows well in both full sun and partial shade, though it will achieve the best shape, flower color, and fall color in full sun. It likes humusy soils, so mixing in compost before planting is a good idea. Although these bushes are considered plants tolerant of wet ground and of clay soils, they will nonetheless perform best in well-drained soils. Virginia sweetspire shrubs needs more water than most plants when they are young; once established, a routine 1-inch watering each week usually suffices. Once mature, they are reasonably drought-tolerant shrubs. Stay ahead of any root-suckering that may occur if you do not wish for your bushes to spread. Root suckering will be worst (or best, depending on what you want) in wet ground. Pruning to remove any dead wood should be done in spring. 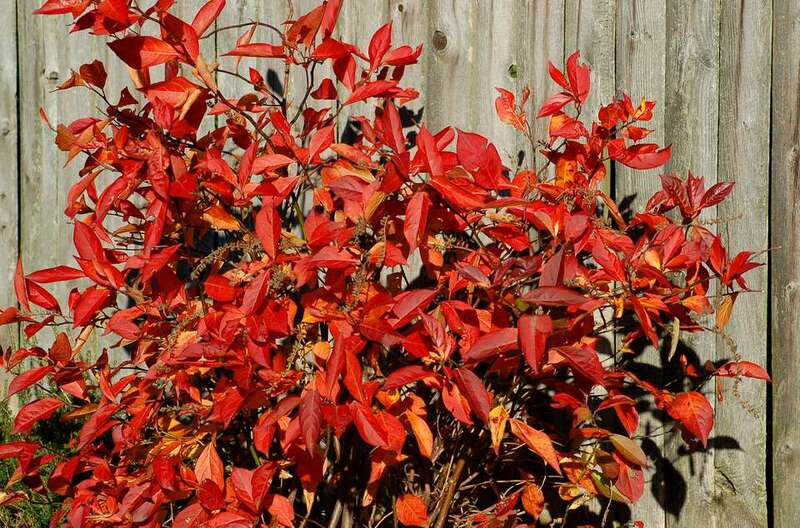 In USDA growing zone 5 (the northern end of its range), a bush will likely experience several inches of winter die-back on the tops of the branches (they turn a tan color). This is unfortunate, since the bush blooms on old wood. So such die-back in winter means the loss of some of the flower buds that would turn into blooms in spring. There are no serious pest and disease problems with Virginia sweetspire. It is even somewhat immune to damage from deer. Virginia sweetspire grows best full sun but will tolerate part shade. Shady conditions may limit the flower production and mute the autumn color. Warmer climates call for more shade. Plant this shrub in humusy, well-drained soil that is somewhat on the moist side. It prefers a slightly acidic pH, but grows adequately in a range of soils. Water these shrubs quite often when they are young and getting established, then weekly when mature. They will tolerate short periods of drought, but perform best when they receive regular water. Hot climates call for more water. Virginia sweetspire grows quite well in very hot conditions, provided it gets plenty of water. In such climates, planting it along woodland edges where it gets partial shade will help the plants stay cool and thrive. In the northern part of the hardiness range, winter cold may cause die-back of the branch tips. Feed these plants each spring with a balanced granular fertilizer mixed into the soil. Additional feeding is not necessary. This shrub is the rare type that divides easily by cutting its rootball into sections, thanks to its prolific suckering habit. A sharp spade can be used to cut away a section of the root ball around the edge, which can be replanted where you want it. Itea virginica 'Henry's Garnet has larger flowers and better autumn color than the species variety. I. virginica 'Little Henry' is a dwarf version, growing to only about 2 feet tall. It has better flower and fall foliage colors than the species. I. virginica 'Merlot' is another dwarf, growing to about 3 feet. It has very deep red autumn color. You can prune Virginia sweetspire to shape it or control its size, but pruning is not otherwise necessary. Because it blooms on old wood (previous year's growth), pruning should be done immediately after blooming, or you risk removing the flower buds. Dead wood can be removed any time. This shrub forms a dense mass of leaves if grown in full sun, making the bushes effective in shrub borders or foundation plantings. An understory plant in the wild that naturalizes easily in the landscape, this shrub can also be used in woodland gardens. But with excessive shade, you will sacrifice some fall color. The plant's tolerance of wet soil makes it well-suited for use around water features. While its root-suckering can be a nuisance, this very attribute qualifies it as an excellent plant for erosion control. It will also help you gain a bigger display, since this quality allows the plants to spread. This can be considered a good thing, since they look better displayed in a mass planting, rather than individually.